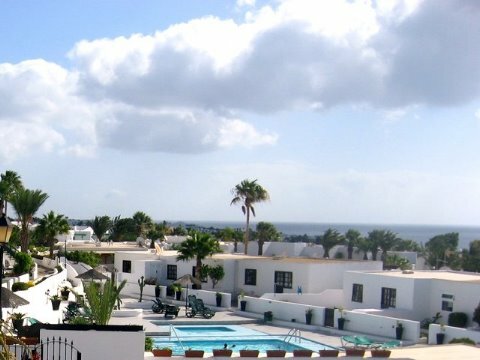 The Querelle apartment lies in a resort in Puerto del Carmen, which is located in absolutely quiet surroundings, above the hotel Los Fariones, and it has a very beautiful view of the Atlantic Ocean, both from the balcony and from the living room. Inside, the apartment has a bedroom, a bathroom and a living room with an integrated kitchen; up to 2 people can therefore live here. The apartment has been furnished in a comfortable, bright and friendly way. Modern furniture and distinguished accessories leave no wishes unfulfilled, including satellite TV, a washing machine and a microwave oven. The heated pool in the resort can be used, and it is located only 50 meters from the apartment. 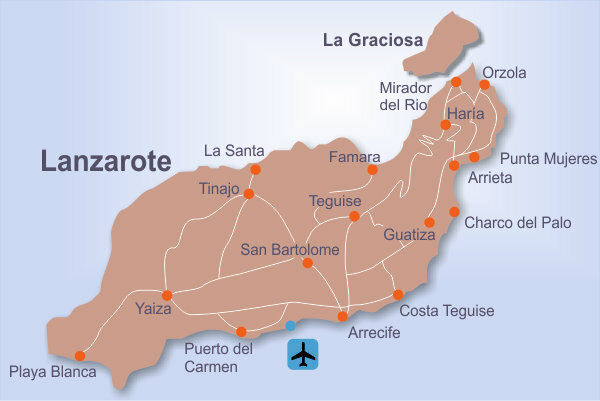 The distance to the ocean and to the sandy beach of Puerto del Carmen is only 400 meters on foot and there are several restaurants and shopping facilities nearby. Rent per night 54,- eur, final cleaning inclusive.